That’s right, thanks to the awesome guys from Yacht Club Games, the one and only Shovel Knight will be making an appearance in All-Stars Dungeons and Diamonds! Ready to impart some Shovel Justice. We are pretty sure this guy needs no introduction, but for those who don’t know him, he is the most epic character we’ve seen in quite a while, a true punisher of evil and wielder of the most awesome weapon of all: The ShovelBlade. He has his own game, of course, but he is making a short detour to the world of ASDAD to get his hands on one of the things he loves the most: diamonds. Shovel Knight REALLY loves them, so the moment he learnt of this competition he set his eyes on it. Tirelessly he dug and mercilessly he slashed, until he reached the realm of ASDAD. 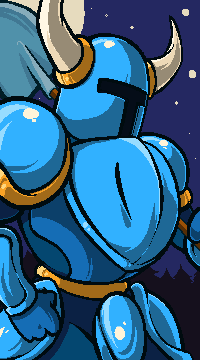 Shovel Knight is our first guest star so we are pretty excited! So, are you ready to play as Shovel Knight in ASDAD? Do you have what it takes to wield the mighty Shovel Blade? We hope you do, because Shovel Knight is now officially part of the roster of All-Stars Dungeons and Diamonds!